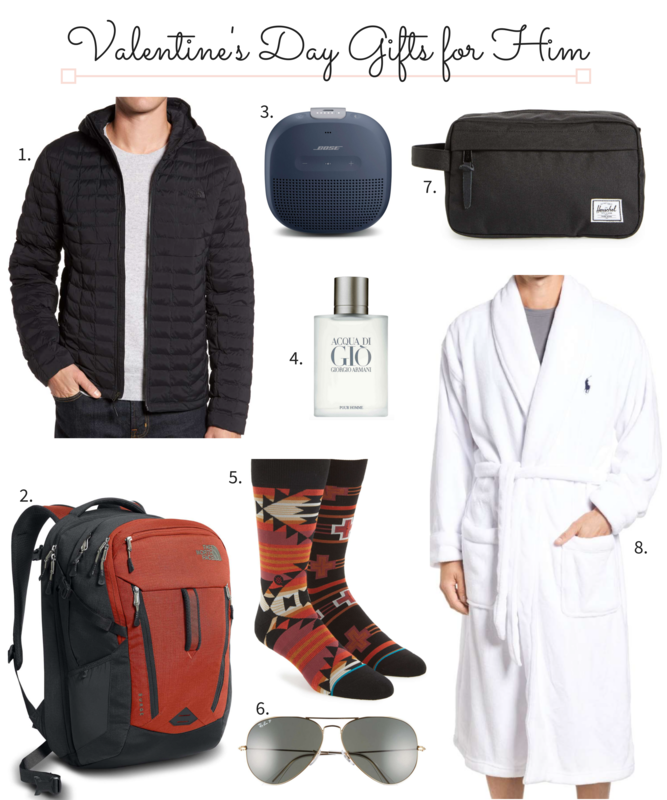 Last week I shared my Valentine’s Day Gift Guide for Her, but since a majority of my readers are women, today I’m sharing Valentine’s Day Gifts for Him! Guys can be SO hard to buy for, so I think it’s best to stick with classic items that they actually need/want. Take your man shopping with you occasionally and stop in the men’s section. As he’s looking, you will probably notice him really looking at a certain item or even mentioning he likes it. Just write down those items in a list on your phone. Then, when something like Valentine’s Day comes up, you already have ideas! Since it may be a little late to implement that strategy, I picked out the items above that I think are great for any guy! You can honestly never go wrong with a jacket. If you’re looking for a nice one to get him like this one, I recommend either The North Face or Patagonia. And, if your guy is adventurous, make sure to get him a jacket with a hood! According to my dad, “it’s no good without a hood” lol. Also, if you haven’t heard of Stance socks yet, you have to get your guy a pair for Valentine’s Day! These socks have fun designs on them and all the guys in SoCal LOVE them! I think this Southwest-inspired blanket pattern pair is really cool! Another less common gift idea is a toiletry case! This way when you go on a trip, your man has his own bag to put his toiletries in. In my opinion, this is a gift for you and him! No more dealing with his stuff mixing with yours. You could even fill it with travel-size items or surprise him with plans for a mini vacay!